Please click on image for more photos. Considered the 5th coldest capital city in the world, with winter temperatures dipping to -25C and below, Ottawa’s honourable spot can be cast aside for a while with Canada’s capital seeing temperatures climbing to an amazing (+)16°C at 1:00 pm on December 24, 2015. Please click Photos of the Day: One of World’s Coldest Capitals, Ottawa eh, on Christmas Eve 2015. Please click on image for story and more photos. 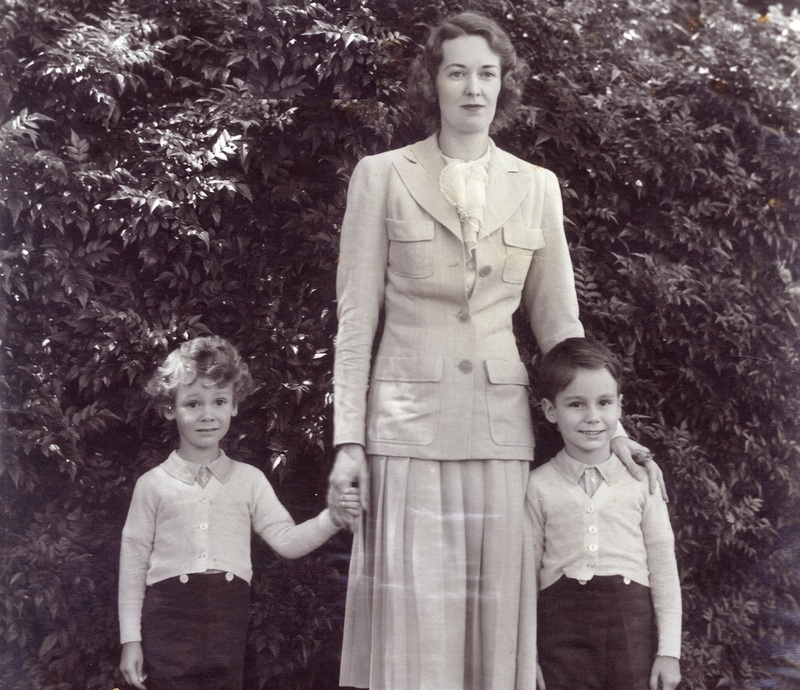 Please click on image for the first part of a special 3-part series on His Highness the Aga Khan’s Work and Travels in 2015. 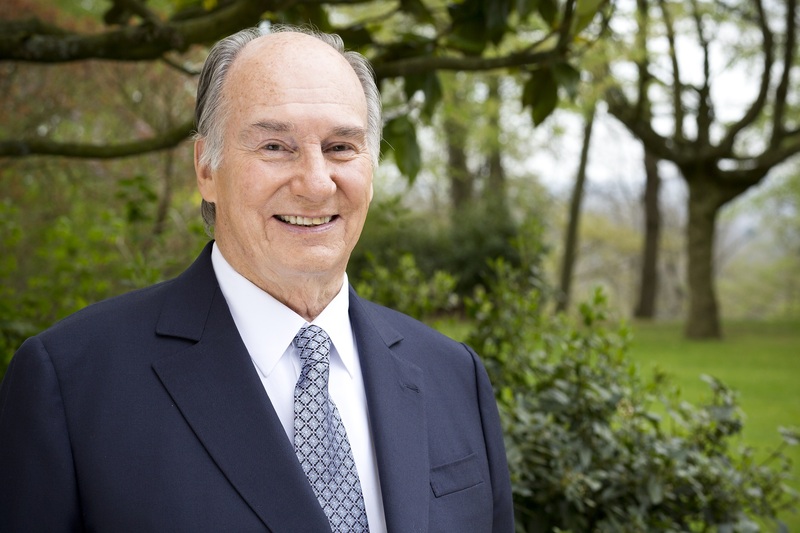 Mawlana Hazar Imam, His Highness the Aga Khan, 49th hereditary Imam of Shia Ismaili Muslims directly descended from the Holy Prophet Muhammad (s.a.s. 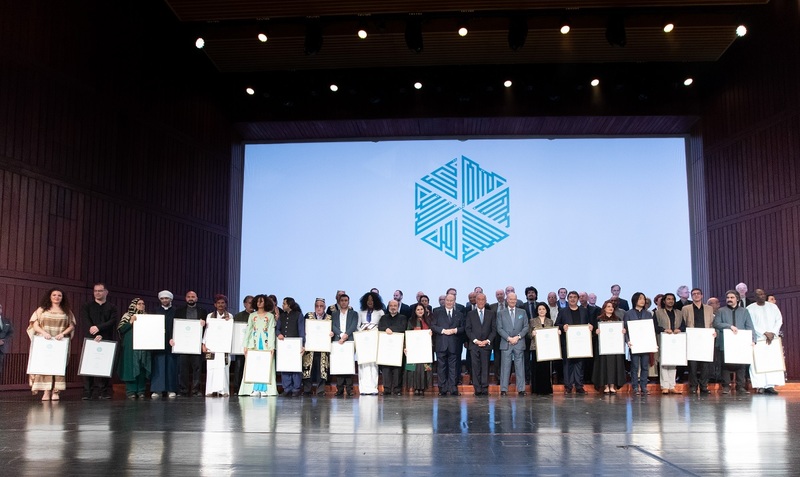 ), is the builder of the Aga Khan Museum, the Ismaili Centre and the newly opened Aga Khan Park that connects the two buildings. 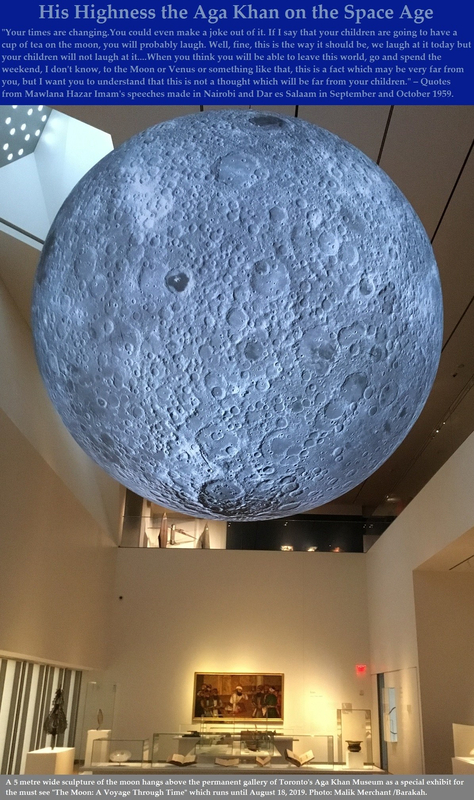 Photo: AKDN/Anya Campbell. Copyright. 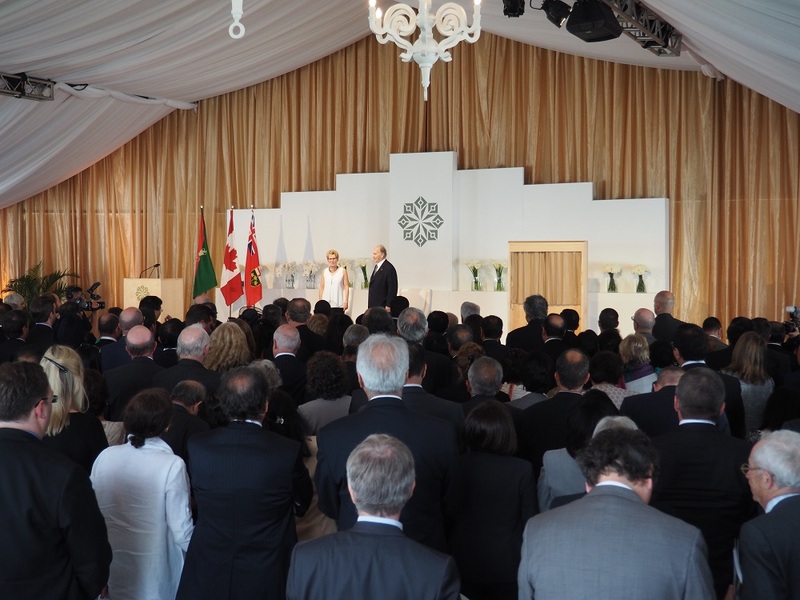 The recitation of the Canadian National Anthem at the opening of the Aga Khan Park on May 25, 2015. Photo: Simerg/Malik Merchant. Copyright. 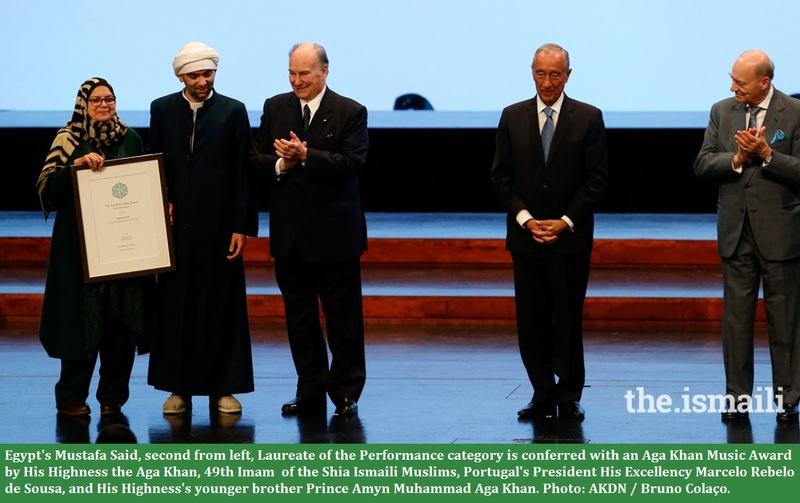 Qur’an reciter Ahsan Afzaly, left, with his back-up colleague, Edrees Amiri, pictured at the Ismaili Centre prior to the opening ceremony of the Aga Khan Park on May 25, 2015. Photo: Simerg/Malik Merchant. 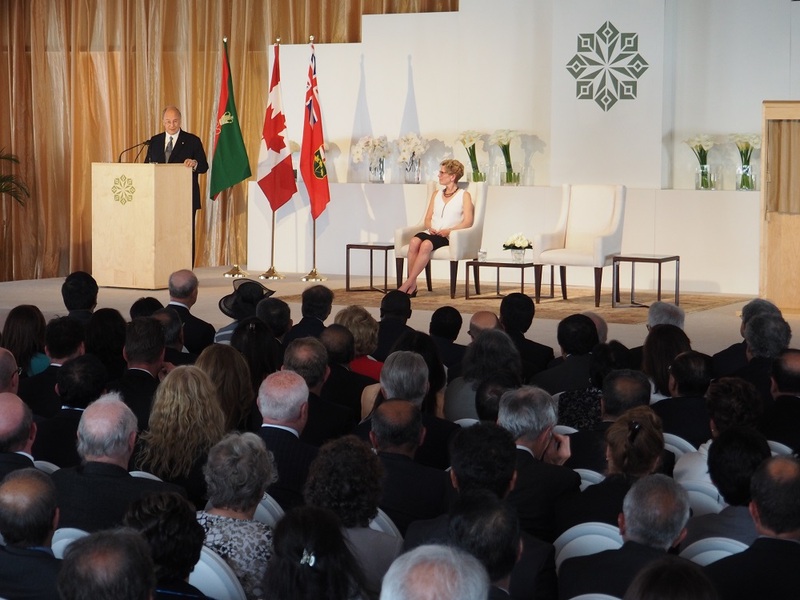 Mawlana Hazar Imam, Premier Kathleen Wynne and the reciter of the Holy Qur’an, Ahsan Afzally, look on as a translation of the Qur’anic verses in English and French is underway during the opening ceremony of the Aga Khan Park on May 25, 2015. Photo: Simerg/Malik Merchant. Copyright. 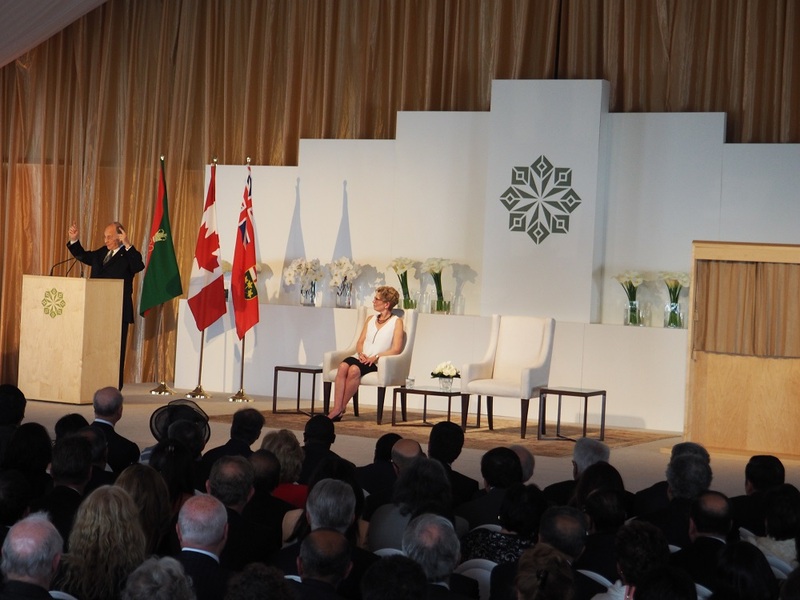 Premier Kathleen Wynne delivering her speech at the opening ceremony of the Aga Khan Park on May 25, 2015. This panoramic view shows the elegance of the event which was held inside a beautiful tent built for the occasion. Photo: Simerg/Malik Merchant. Copyright. 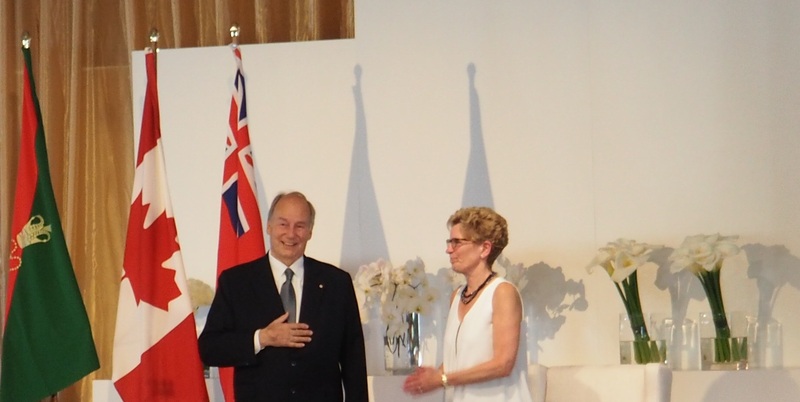 Mawlana Hazar Imam congratulates Premier Kathleen Wynne after the completion of her speech at the opening of the Aga Khan Park on May 25, 2015. Photo: Simerg/Malik Merchant. Copyright. 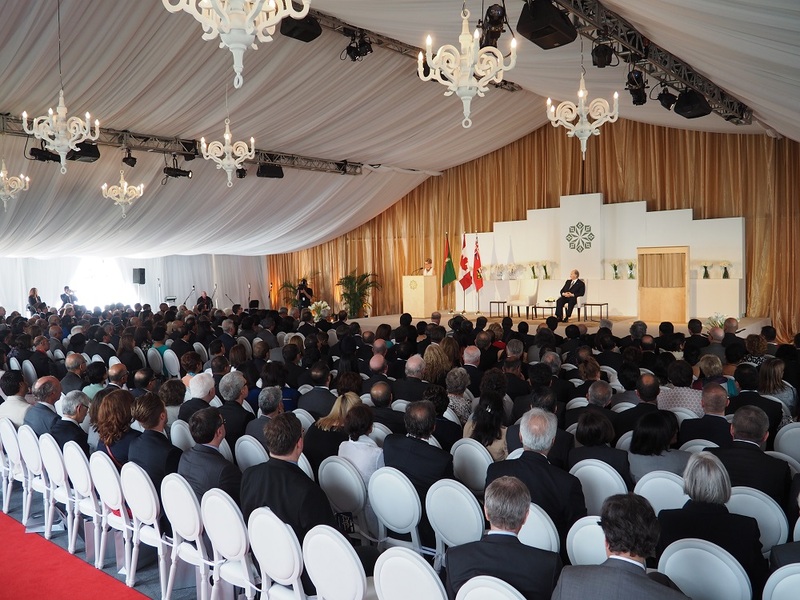 Mawlana Hazar Imam gathers his speech before rising to speak to the audience at the opening of the Aga Khan Park on May 25, 2015. Photo: Simerg/Malik Merchant. Copyright. 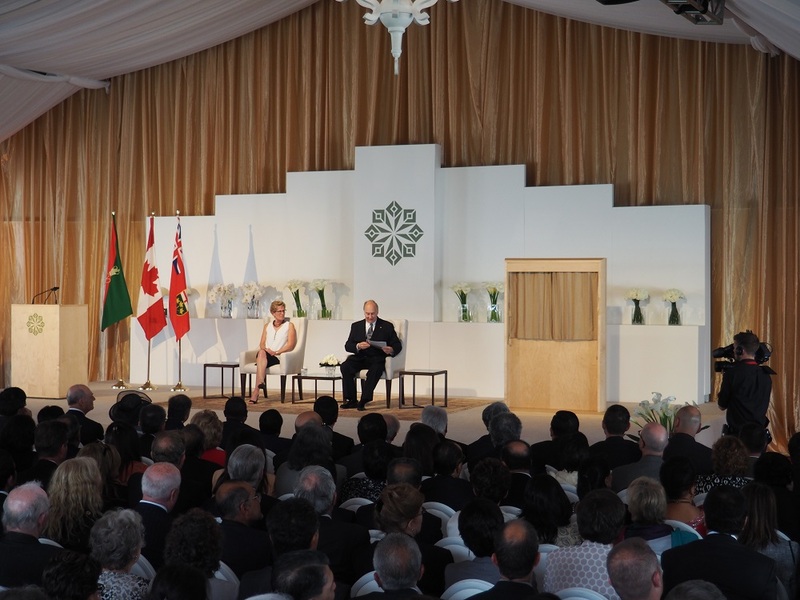 Mawlana Hazar Imam addressing the audience at the opening of the Aga Khan Park on May 25, 2015. Photo: Simerg/Malik Merchant. Copyright. Mawlana Hazar Imam in an animated mood as he shares a joke related to the expulsion of his community from Uganda during the reign of Idi Amin. Photo: Simerg/Malik Merchant. Copyright. 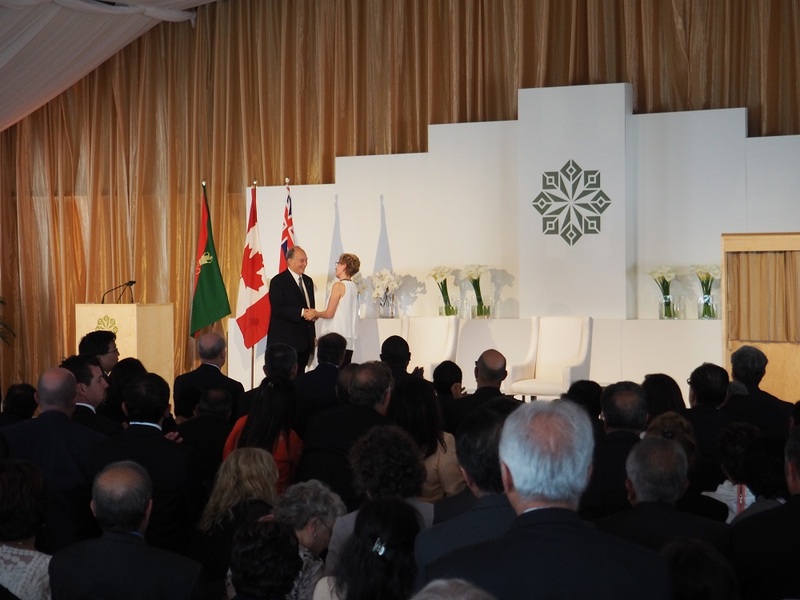 Mwlana Hazar Imam receives a standing ovation as he is congratulated by Premier Kathleen Wynne after the completion of his speech at the opening of the Aga Khan Park on May 25, 2015. Photo: Simerg/Malik Merchant. Copyright. 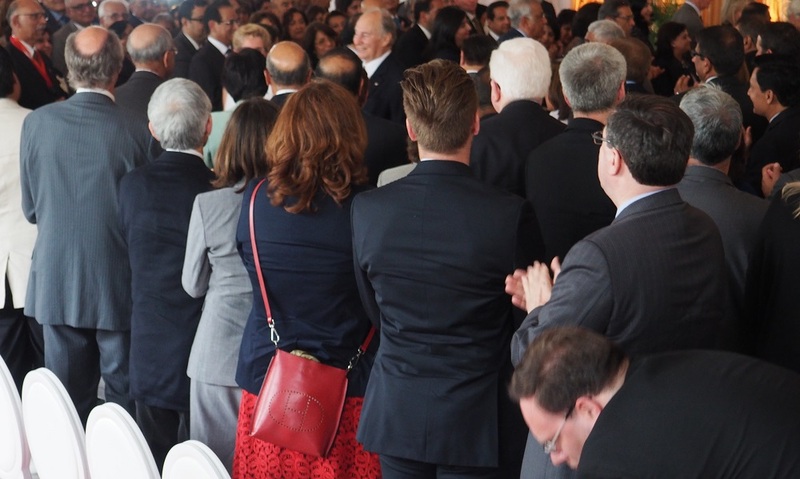 Mawlana Hazar Imam graciously accepts the standing ovation he receives after completing his speech at the opening of the Aga Khan Park on May 25, 2015. Photo: Simerg/Malik Merchant. Copyright. 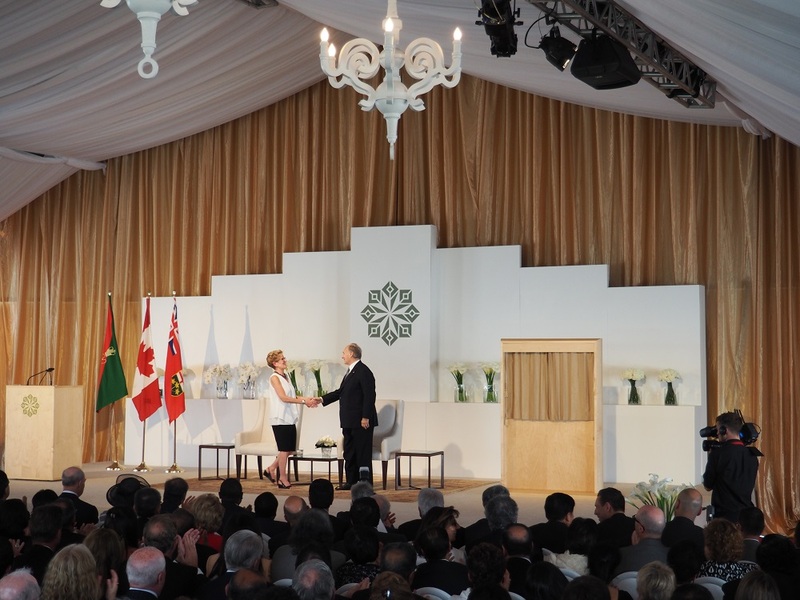 Premier Kathleen Wynne and Mawlana Hazar Imam unveil the plaque to officially open the Aga Khan Park on May 25, 2015. Photo: Simerg/Malik Merchant. Copyright. 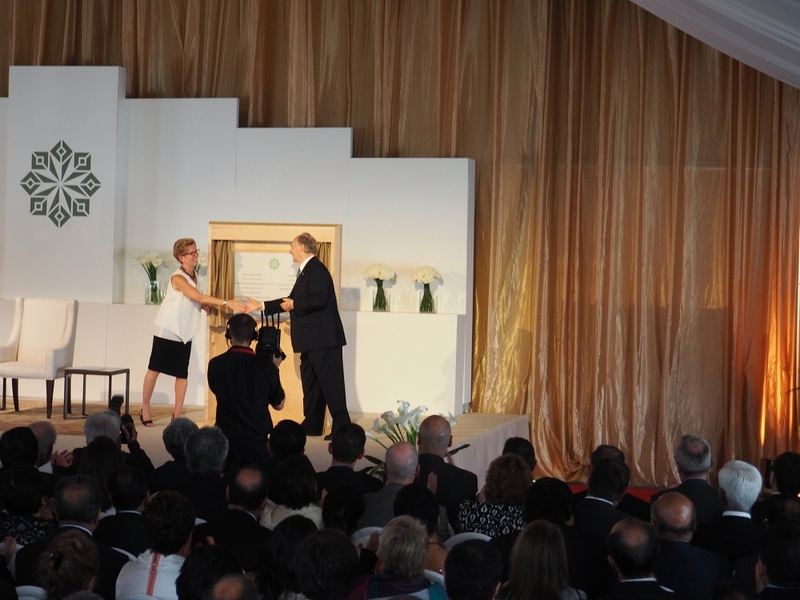 Premier Kathleen Wynne and Mawlana Hazar Imam shake hands after unveiling the plaque to open the Aga Khan Park on May 25, 2015. Photo: Simerg/Malik Merchant. 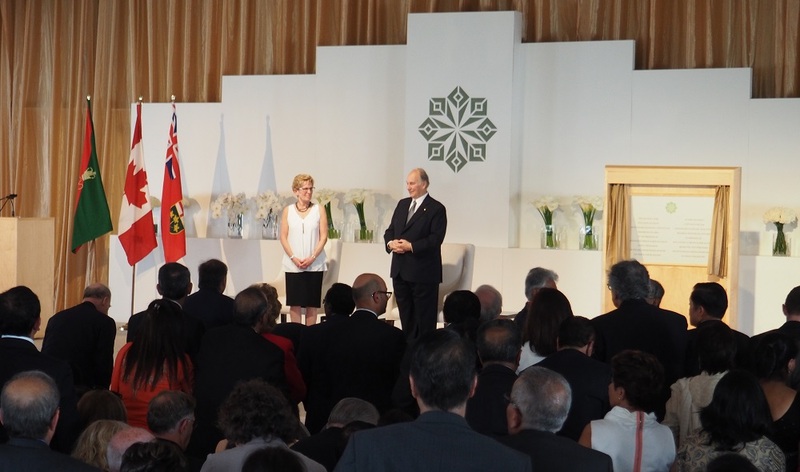 Mawlana Hazar Imam and Premier Kathleen Wynne prepare to depart after unveiling the plaque to open the Aga Khan Park on May 25, 2015. Photo: Simerg/Malik Merchant. Copyright. Mawlana Hazar Imam seen departing the exquisitely prepared tent structure that hosted the inauguration ceremony of the Aga Khan Park on May 25, 2015. Photo: Simerg/Malik Merchant. Copyright. 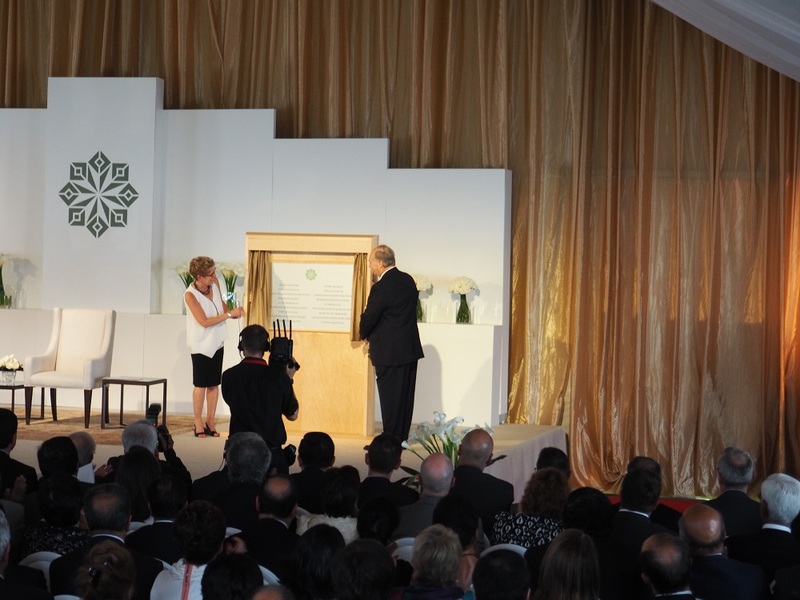 The President of the Aga Khan Council for Australia, Azim Remtulla, was among those who attended the opening ceremony of the Aga Khan Park on May 25, 2015. Photo: Simerg/Malik Merchant. Copyright. 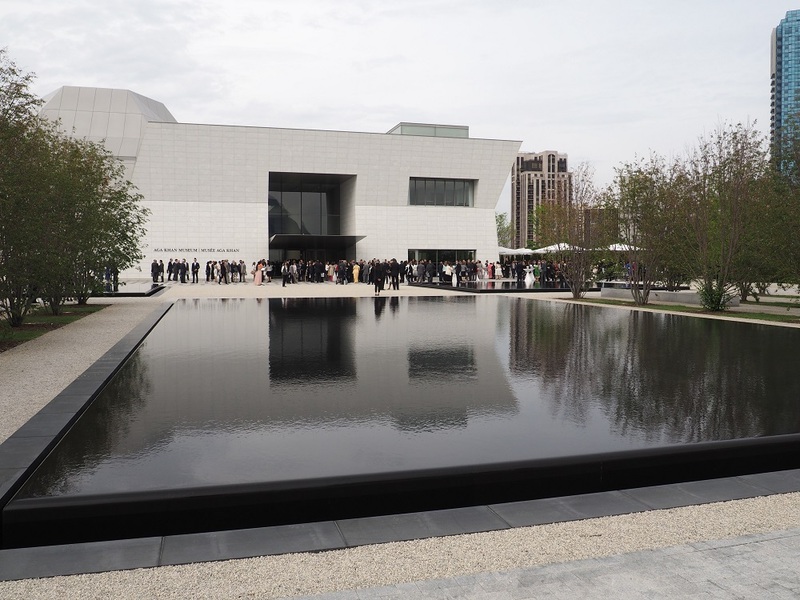 The Aga Khan Museum became the venue for a special reception for guests who attended the opening of the Aga Khan Museum on May 25, 2015. Photo: Simerg/Malik Merchant. Copyright. Date posted: May 27, 2015. We welcome your feedback. Please click Leave a comment. Subscribe to this website at top right, and receive automatic notifications of great new posts. Subscription is free! Please click on photo for Montreal Navroz Celebrations.